NEW from the Gettysburg Flag Works Heirloom Line! 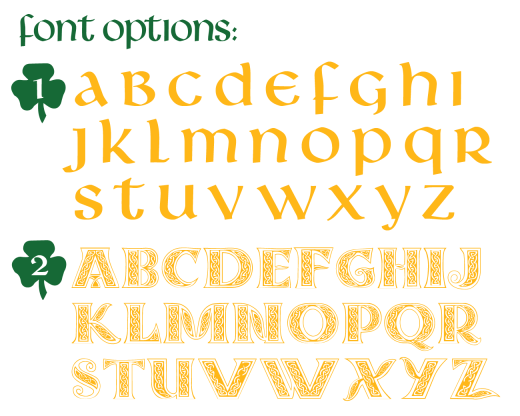 Customize your Ireland flag with your family initial, or a traditional symbol that speaks to your heritage. 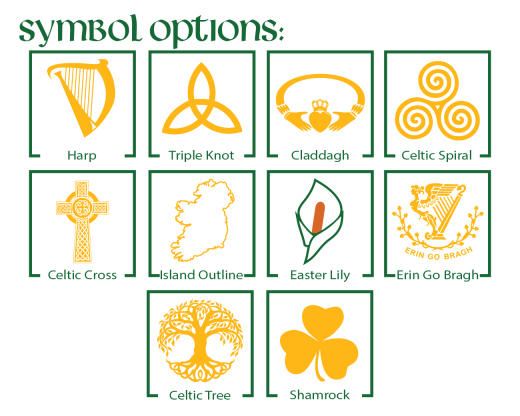 Choose from the options below for addition to the center stripe of your Irish flag. Flag is 3x5’ with either a sleeve or grommets for mounting. Printed center is single-sided digital print and the stripes are sewn 200 denier nylon. Made in the USA. Hardware not included. Please call for pricing and availability on other designs or sizes. Production time is 10-15 business days from date of artwork approval. Please call for rush service with a shorter time line. 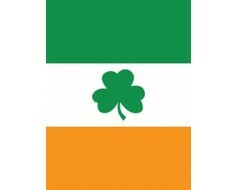 A simple green shamrock on an Irish flag. 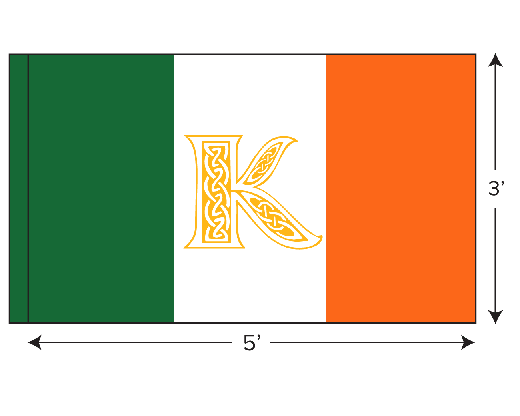 Create a unique Ireland flag that all of your Irish friends will envy! 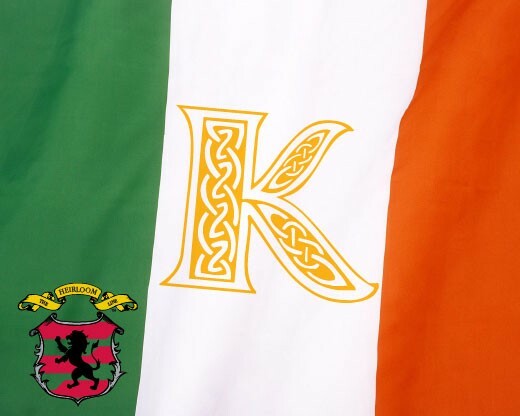 Our customizable Irish flags are perfect for displaying on St. Patrick's Day, or year-round to show your pride for your Irish heritage. 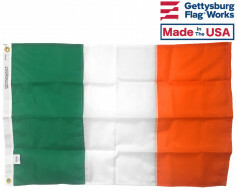 Made right here in the USA and crafted from durable materials, our Ireland flags can't be beat. Plus, we offer a wide variety of fonts and symbols so you can create something that's truly unique! 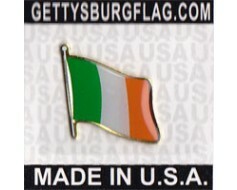 Looking for some other Irish themed items to complement your new personalized Ireland flag? We've got a handful of products that fit the bill! 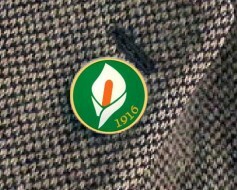 Our Irish Shamrock flag and our Erin Go Bragh flag are both great options, as are our Ireland lapel pins. If those products aren't quite what you're looking for, try browsing our full selection of Ireland flags, and our collection of St. Patrick's Day flags for a full range of Irish flags, banners and more! Have questions? Give us a call at 1-888-697-3524 or contact us online and we'd be happy to help you!